Hello, I’m Natalie, a local lass living down the road from The Vintage Village in Edgeley with my boyfriend Gary, two children and a house full of vintage. 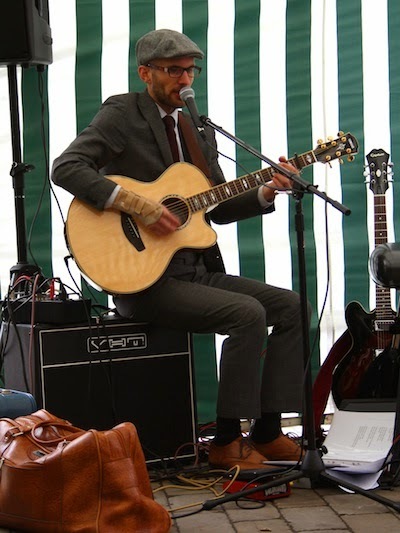 I have a particular passion for mid-century ceramics (which is not necessarily compatible with my footie mad 5 year old who likes to practise her skills in the house), modernist architecture (I’m a proud member of the Manchester Modernist Society) music and good beer. Me, Gary and the kids have been coming to The Vintage Village since it started and are big fans so I was thrilled to be this month’s Finder. I hope everyone enjoys reading about my Finds as much as I enjoyed finding them. Anyway enough about me, and onto the finds. 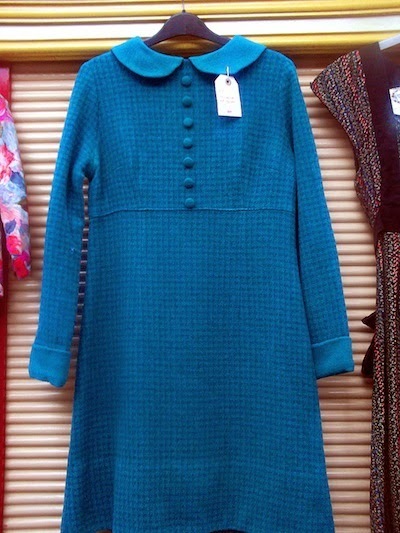 Next up is this mod dress I found on Sweet Caroline’s stall, just because I think its ace, and would be great to go out dancing in. If it appears at next month’s Vintage Village I think I’ll have to buy it. 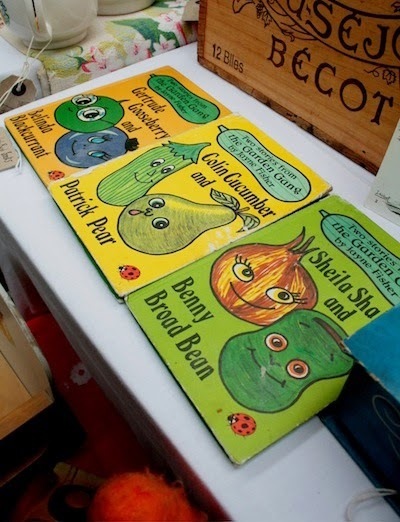 This selection of Garden Gang books caught my eye as I was a big fan as a child. In fact Jayne Fisher was a bit of a hero, I mean having your work published by Ladybird at the age of nine is pretty cool. Another favourite stall of the kids’ is All Our Yesterdays as Wayne always has some great toys and this month was no exception. 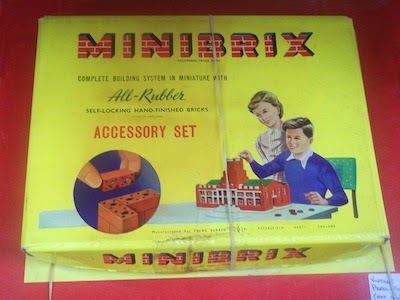 My Lego obsessed son spotted this box of Minibrix and was fascinated. I was more excited by the lovely box. 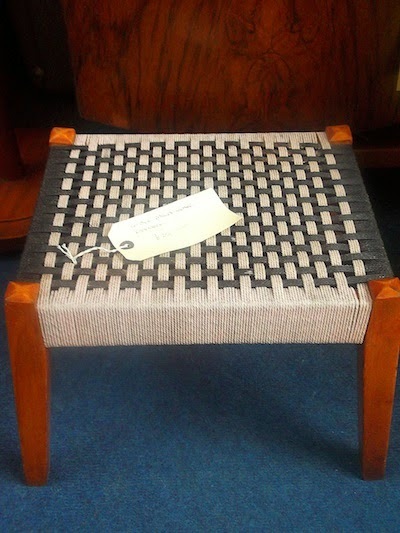 I love it when I spot something at VV that’s familiar, like this stool at All Mods Cons in Room at the Top Vintage Goods. My Grandma and Grandpa had a couple of similar ones and I think they’re great. I’m not sure that there’s a shelf in our house that hasn’t got an object we’ve bought from Snygg on it. 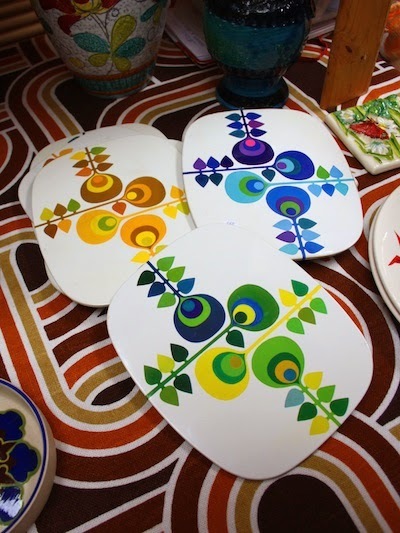 Alex and Alison always have plenty of weird and wonderful stuff and Gary fell in love with these Worcester Ware place mats the moment he saw them. They came home with us. 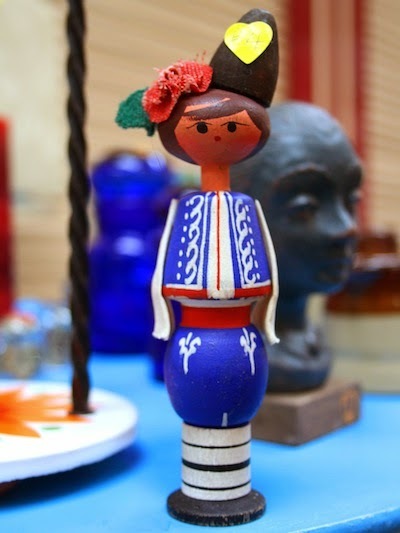 A quirky vintage European wooden doll, who was more than happy to pose for me. I forgot to go back and buy her, hope she found a good home. 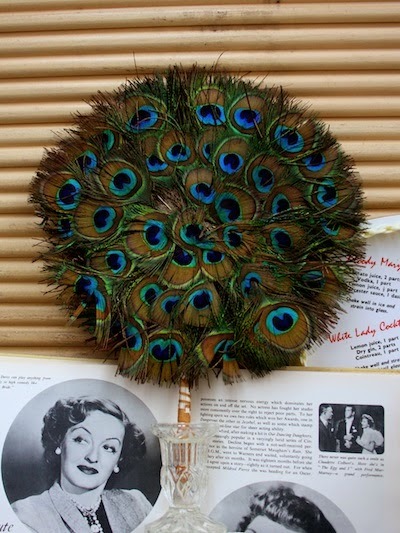 A very strange and exotic (for Stockport anyway) hand fan, made entirely from peacock feathers. Apparently acquired from a man whose parents travelled the world extensively. Many thanks to Natalie for presenting us with such a unique and discerning selection of Finds - indeed, we have a first in that we've never had a song performance selected as a Find before! We think that's a fine note to end on! You can look up Natalie on Twitter @natainscough, see her photos on Flickr, and check her pins on Pinterest (and Gary's too). 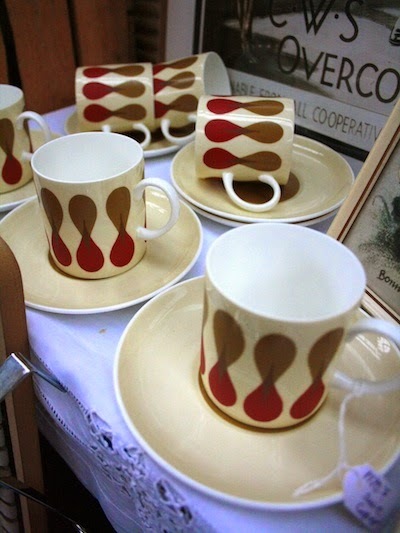 First up are these cups, saucers and plates found on Shady Lane Vintage’s stall. They’re Black Velvet by Hostess Tableware, designed by John Russell dating from the early 1970s (I think). I love this design and it was finding a set in a charity shop several years ago that got me into collecting pottery. 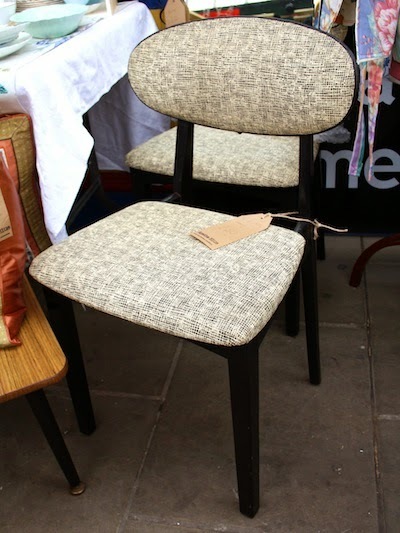 Something else I wish I’d bought are these brilliant 1950s chairs from Agatha Blue. I dream of living in a modernist house (George Best’s house in Bramhall will do) and filling it with great furniture like this. 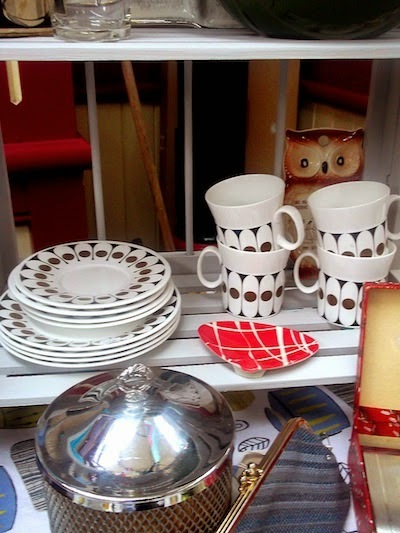 I couldn’t not include a photo of the goodies on the Stuart Thornley Cake Design stall. 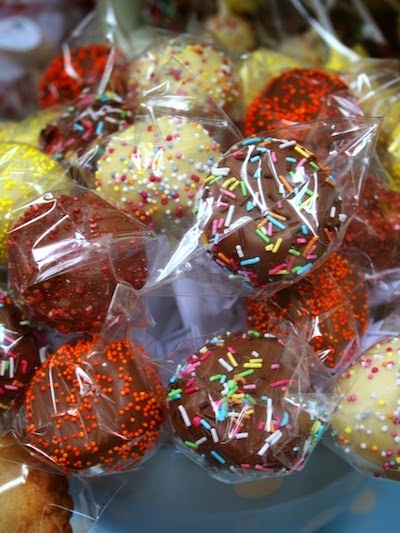 As soon as arrive each month the kids make a beeline for his cakes which are reliably delicious and beautiful. Sorry, more pottery, but these cups and saucers are a bit special. Made by Wedgwood and dating back to the late 1960s/early 1970s the design is Diablo/Dumbells by Susie Cooper. Very nice. John at Eclecta Books always has a fantastic selection and our house is full of 1950s/1960s design and architecture books and magazines we’ve picked up from him (my fave is my copy of ‘The brighter face of concrete,’ a riveting read, honest!) 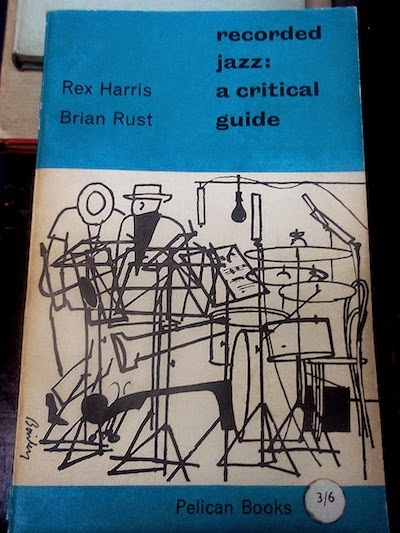 This Pelican Jazz Guide caught my eye this month. 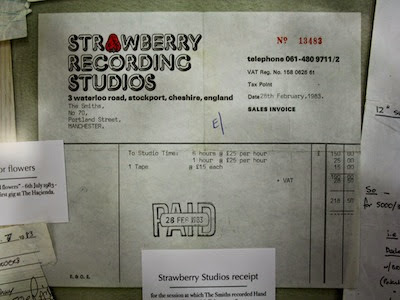 Not a find, but I enjoyed looking at the Smiths memorabilia, particularly this receipt from the recording the Smith’s debut single Hand in Glove at Stockport’s Strawberry Studios in February 1983 (total cost = £218). I have fond memories of waiting for my dad outside the studio on Waterloo Road as I child (he did some work in the same building rather than being a record producer or anything exciting) and hoping that I’d spot someone famous. It’s not often you see art exhibition posters for sale, so I was quite excited to see this one in Populuxe, up in Room at The Top Vintage Goods. 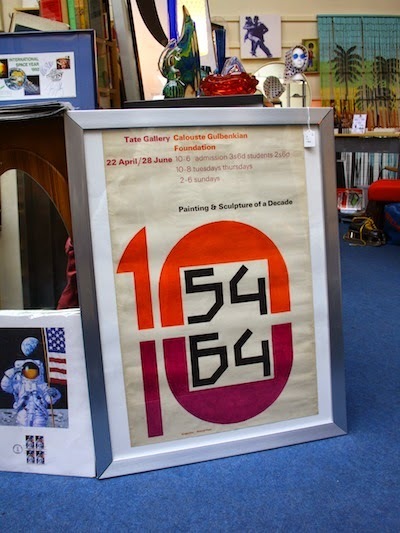 A great example from 1965 for an event at the Tate Gallery - screen-printed geometric shapes, in quintessentially mid 60s vivid purple and orange.